One of more than 60 different species of fishes found in warm sea, this fish has a broad head, slight body, and is covered in large gnarled lumps. Batfish are not good swimmers; they use their pectoral fins to “walk” on the ocean floor. 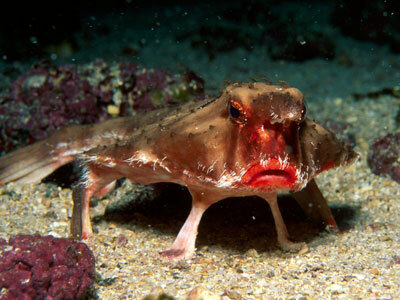 When the batfish reaches adulthood, its dorsal fin becomes a single spine-like projection that lures prey. 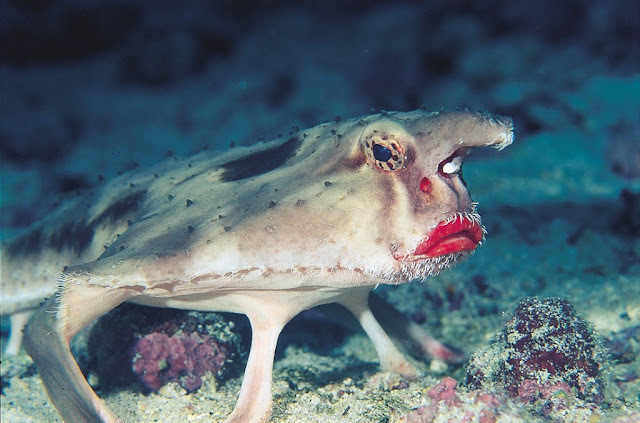 Batfish eat shrimps, mollusks, small fish, crabs, and worms. 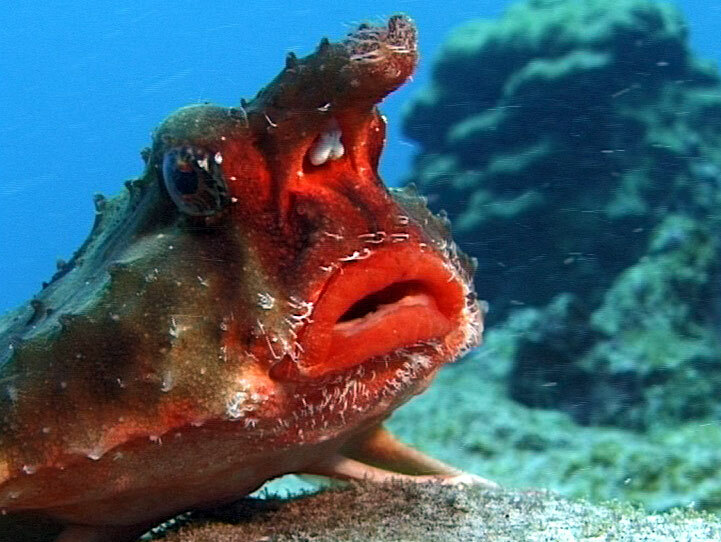 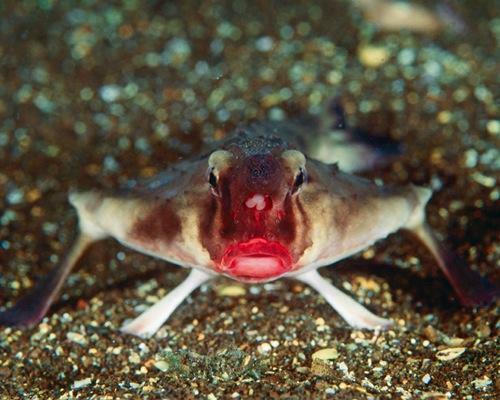 The red-lipped batfish (Ogcocephalus darwini) is an unusual looking fish found on the Galapagos Islands. 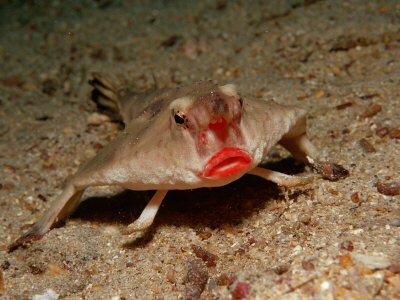 Red-lipped batfish are closely related to rosy-lipped batfish (Ogcocephalus porrectus), which are found near Cocos Island off the coast of Costa Rica. Both fish species look and behave very similarly to one another. 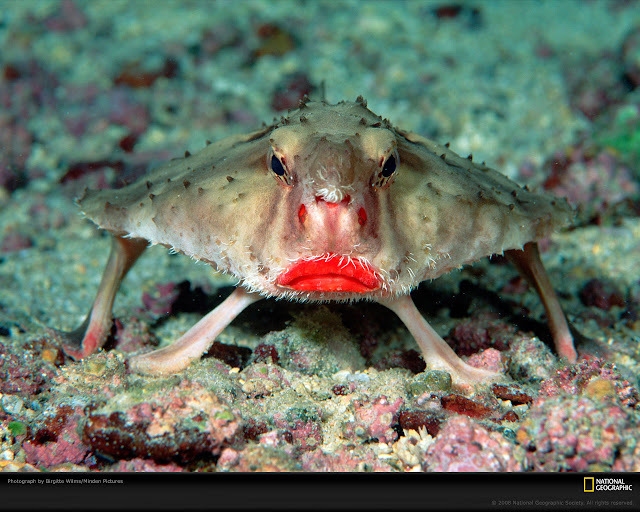 Batfish are not good swimmers; they use their pectoral fins to "walk" on the ocean floor. 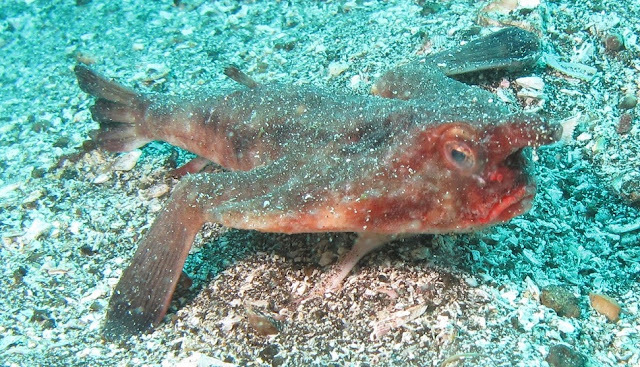 When the batfish reaches adulthood, its dorsal fin becomes a single spine-like projection that lures prey.